Check out Tobi's It's Alright Off Shoulder Blouse A million likes and counting with the It's Alright Off Shoulder Blouse. Features an undeniably cute cropped silhouette. 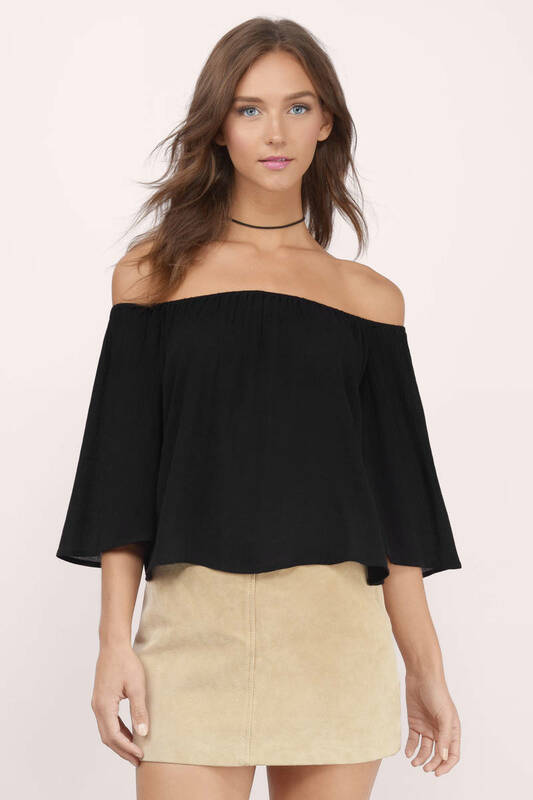 An off the shoulder blouse that hugs your shoulders to perfection and shows off skin in the sweetest way. A million likes and counting with the It's Alright Off Shoulder Blouse. Features an undeniably cute cropped silhouette. 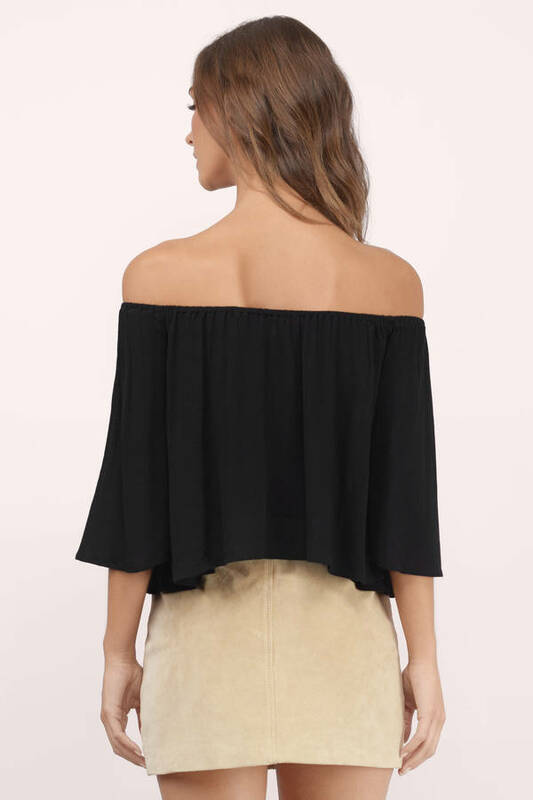 An off the shoulder blouse that hugs your shoulders to perfection and shows off skin in the sweetest way. Model's profile: height 5' 7.5", bust 32", waist 22”, hips 33"
Blue, Red modeled on a size Small. Model's profile: height 5'7", bust 32", waist 24”, hips 34"